Fethiye is on the site of the ancient city of Telmessus. Many of the ancient buildings and monuments have been destroyed by earthquakes, including a strong one in 1957. The theatre and some tombs remain. 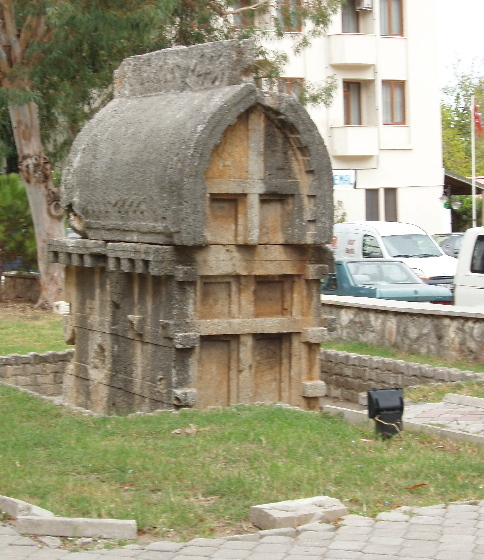 This sarchophagus tomb reflects Lycian domestic architecture with wooden beams and joints carved in stone. The lid is like an upturned boat.